Everyone knows the importance of employee engagement. Engaged employees do better work. They find innovative solutions to problems. And they are less likely to leave your company than disengaged employees, which means that when you improve employee engagement, you improve employee retention. Yet for all the benefits of keeping employees engaged, many companies struggle to do so. For many years, less than one-third of U.S. employees have been engaged in their jobs. Companies with small HR departments, or those that have no HR departments, sometimes assume that improving employee engagement is expensive and beyond their reach. But, there are many ways to improve employee engagement without increasing salaries or benefits, or offering expensive perks. Read on for the best ways to increase employee engagement on a limited budget. More employees surveyed said it was “very important” to them that their job allow them greater work-life balance than said it was “very important” that they receive a significant increase in income. This is good news for companies with limited HR budgets. Giving employees the ability to do work they are good at, providing them with work-life balance, and offering them stability are just as important as compensation, and can be inexpensive ways of improving employee engagement. People want to do work they enjoy—but too often, they feel their employer puts barriers in front of them, rather than clearing the way for them to do excellent work. Here’s how your company can help rather than hinder its employees’ efforts. Show employees their thoughts matter by having managers and employees set goals together. Collaborative goal-setting allows your employees to take charge of their career development, while building manager-employee relationships. Both of these have a positive impact on employee engagement. 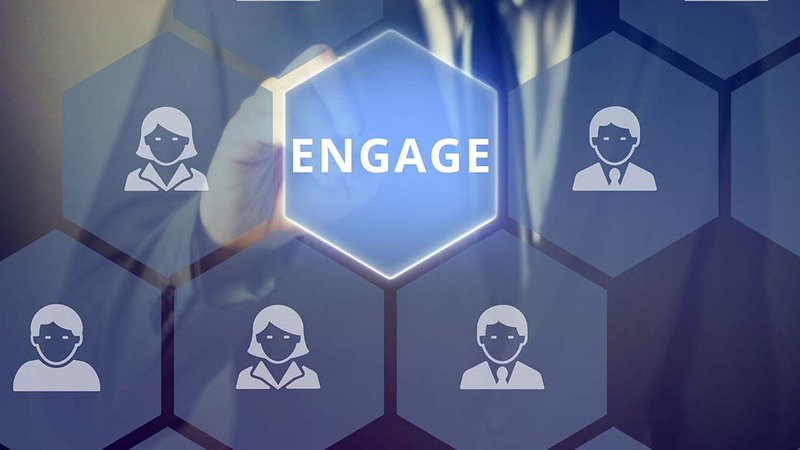 Ensure your managers understand the importance of keeping their employees engaged and addressing any engagement problems head-on. Support them with the tools they need to help their employees do good work. Your executive or senior management team should hold managers accountable for ensuring employee engagement of their teams. Apple, LinkedIn and 3M are among those companies that allow their employees time to work on their own projects. Google’s AdSense and 3M’s sticky note are among the products developed as employee side projects. Being able to work on such projects is immensely rewarding for employees, which keeps them engaged, and it can also kickstart highly innovative projects at your company. Working on the same kind of tasks day in and day out can become monotonous for everyone. From time to time, to maintain sanity, we could all use a little change. Keep in mind that innovation doesn’t always have to involve tech employees or engineers. You can have on-site staff think of new safety procedures, project managers think of new processes, and customer support think of new ways to nurture clients. Your employees are immersed in all the small day-to-day details of operations at your company. As a result, they likely have a good idea or two on how to make those operations run more smoothly. Ask your employees for their ideas on how to make the company better. Then take the best ideas and implement them. It’s win-win: not only will it make your company better, it will also make your employees more engaged as they see they can influence their workplace. Now that you’ve given your employees the opportunities to do great work, take the time to recognize them for it. Encourage managers to tell their staff directly what a good job they did, or to bring it up at a team or department meeting, so their efforts are recognized. Increasing employee engagement doesn’t have to break the bank. If your company gives employees the ability to do the work they love to do and supports their well-being, it will be well on its way to a more engaged workplace, without spending a great deal of capital. Chris Lennon is Vice President of Product Management at BirdDogHR. He is responsible for ensuring the BirdDogHR Talent Management System meets the needs and exceeds the expectations of our customers. He does this by working directly with customers and partners, identifying key market opportunities, developing product strategies and bringing exciting new products, features and partnerships to market. 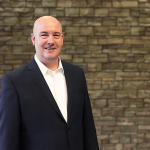 Chris is an active participant in the talent management community bringing over 18 years of experience to BirdDogHR. He has presented at numerous industry events and has been quoted as an industry expert in leading publications like Talent Management magazine, CLO magazine, New Talent Times, TLNT and HR Bartender.